Halloween 2009 | Don't Worry. Megan was only slightly more enthusiastic about Halloween this year than in years past. She understood the whole “say ‘trick or treat’ and get candy” concept, but she still didn’t care enough about the candy to be too excited about it. 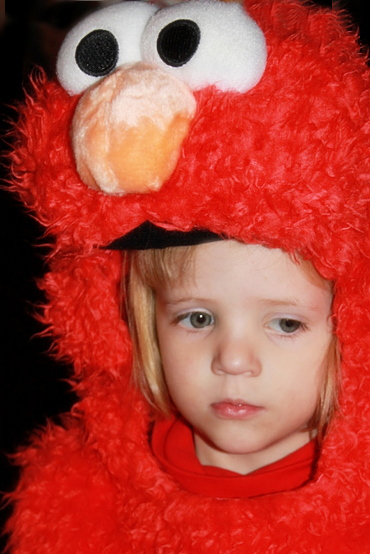 She liked her Elmo costume…but even its novelty wore off before long. I think her favorite part of the Holiday was just the time spent outside. 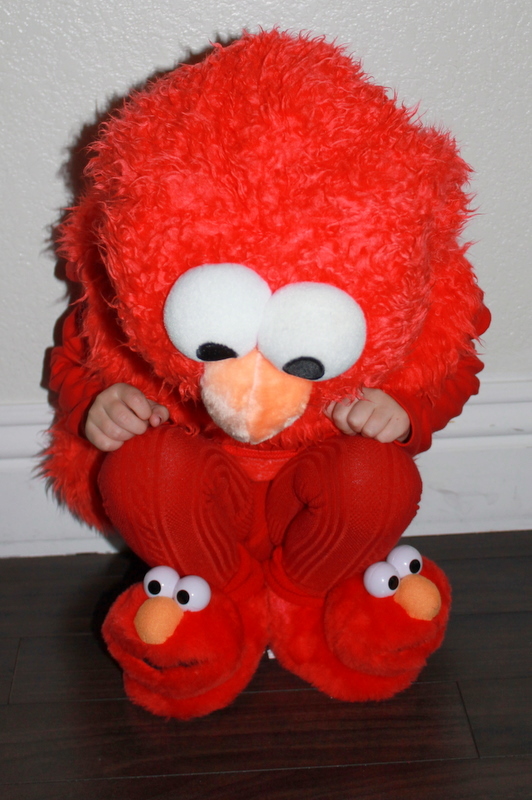 She got plenty of attention in her Elmo costume and she looked so adorable! “Nevada Day” is also on the 31st of October and most people get the day off: which makes Halloween even more special around here. 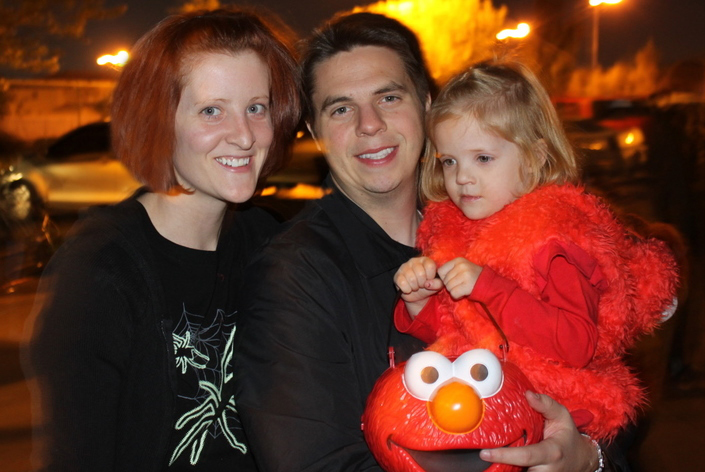 All in all, we had a great Halloween weekend. She looks so adorable in her costume. I love the slippers and tights. What a cutie. Its funny the candy isn’t such a big motivation – I think I lived for candy when I was her age. So fun. 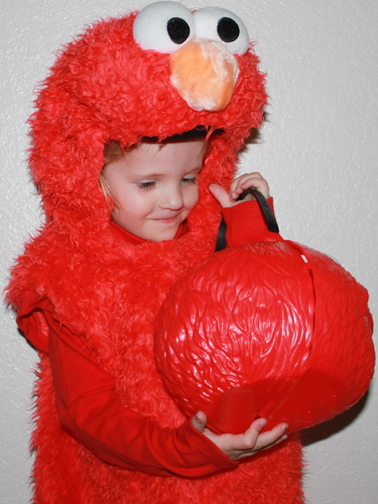 So dang cute….I absolutely love her costume 🙂 The candy wasn’t that big at our house either….my girls are to excited for the Halloween Witch to come that night and leave a prize.